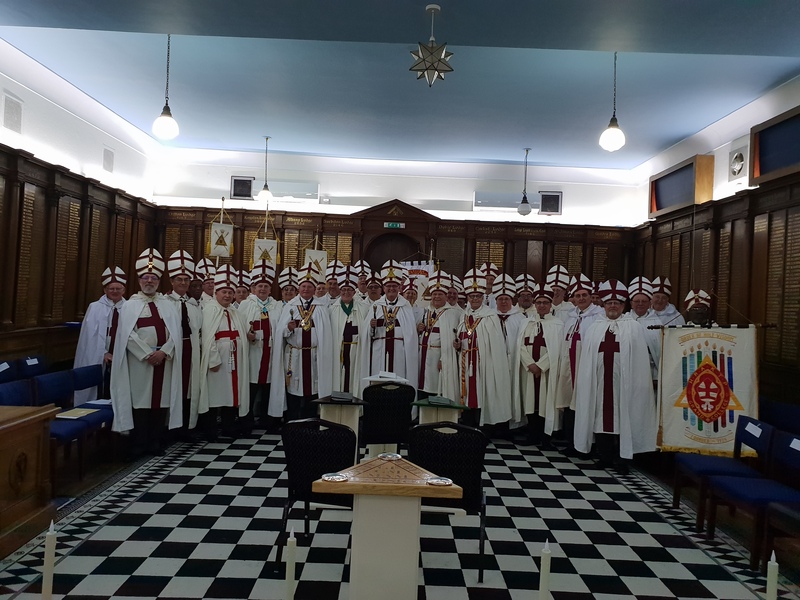 On Thursday 25 October, the Grand High Priest, M Ill Kt Pt Christopher Maiden consecrated a new Tabernacle in Surrey, District 15. 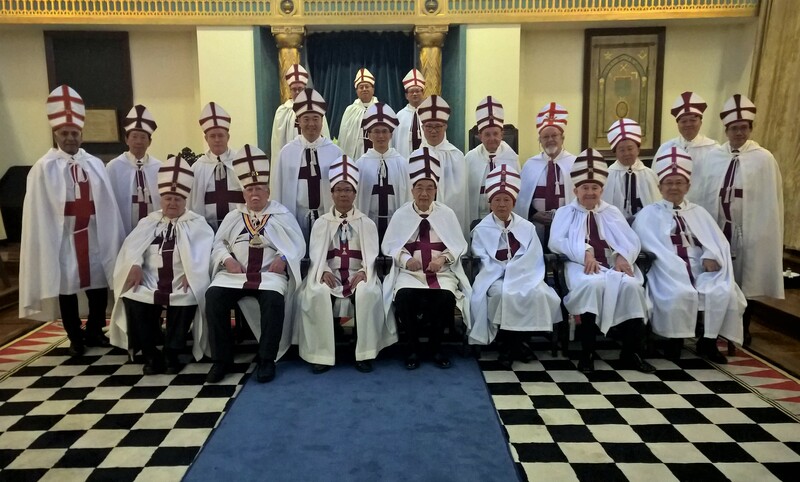 25 Founders and 50 other Knight Priests attended the Consecration of North Downs Tabernacle No. 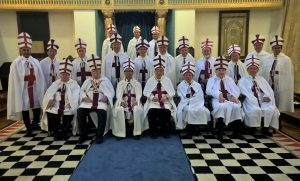 299 in Surbiton. 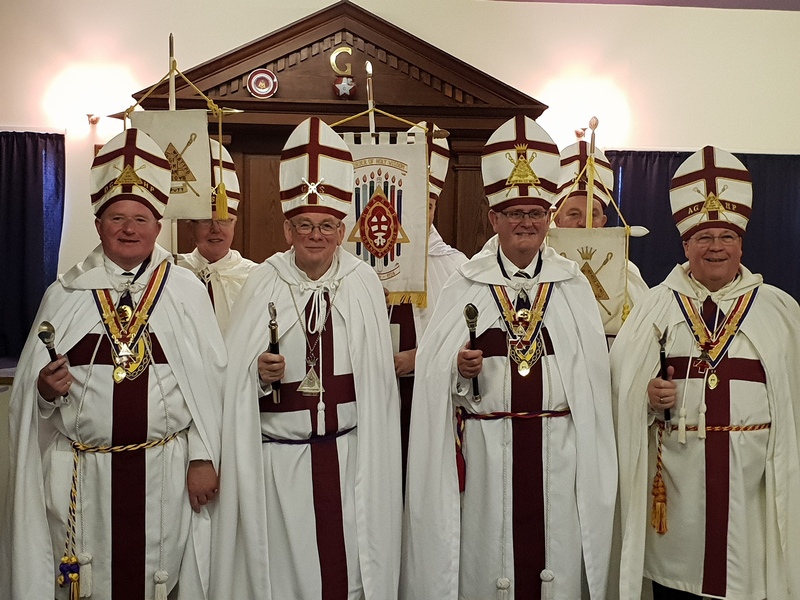 On Saturday 20 October, the Grand High Priest, M Ill Kt Pt Christopher Maiden, installed R Em Kt Pt Andrew Morrison as Grand Superintendent for Scotland North. 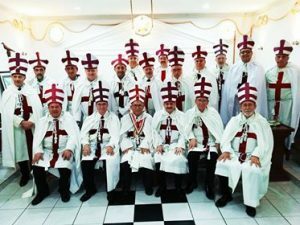 On Friday, October 19, R Kt Pt José Mendoza visited the Jerusalem Tabernacle No. 244 of Santa Cruz de la Sierra, Bolivia. 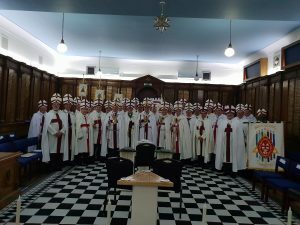 Witnessing the installation of the incoming High Priest, Henry Coronel K., a congregation was opened and two Knight Priests were held through the ceremony of the Order of the Holy Wisdom. 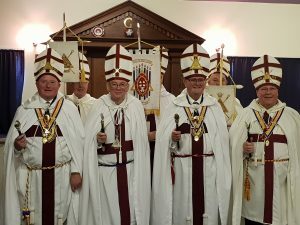 Members of Patmos Tabernacle No 21 at the installation meeting held on 6 October 2018.